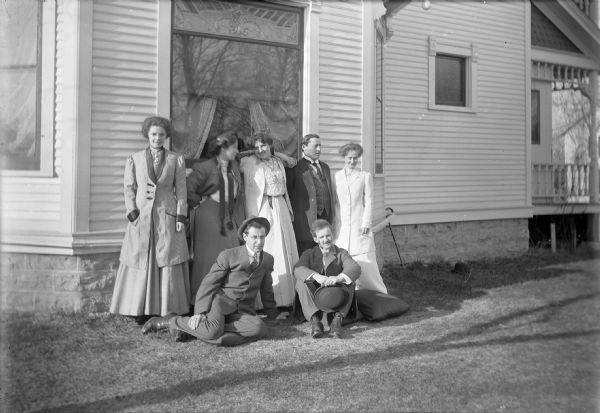 Four women and three men pose outdoors along the side of Otto Ansorge's house. They include (standing, left to right): Mrs. Ansorge, two unidentified women, George Miller, and Miss Edna Hudson, a teacher. Seated in front on the grass are, left to right: Otto Ansorge, and an unidentified man. George Miller was a local banker and Otto Ansorge was a jeweler.